A lot of freelance interpreters and translators underestimate the power of networking. Networking is vitally important to every freelance linguist. Networking gives you an opportunity to meet other linguists in the area, learn information that is important to your career development and allows you establish deep relationships with people of similar interests. Take for example the most recent Language Access: Improving Health and Patient Experience Medical Interpreter Conference sponsored by CCIO that took place on June 26 2016 at the Wexner Medical Center. It was attended by over 200 linguists not only from Ohio but from other states such as Kentucky, Indiana and Pennsylvania. It was amazing to see so many people who were interested in improving their medical interpreting skills. It was fun to meet old acquaintances and make new friends. Not only did I learn a lot from general sessions, but I also learned new information from chatting with other attendees. My advice: continue networking on a regular basis. I would dedicate a couple of hours per week to networking. Find time in your schedule to meet new people. General and specific networking group can be found in every metropolitan area. Look for specific translation and interpreting related groups. 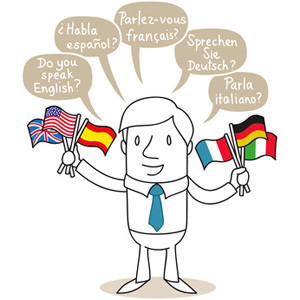 Inquire at translation agencies in your area to see if they are offering classes, training sessions or if they are sponsoring interpreting/translation related conferences that you might benefit from.